To be fair, this past week has been fairly busy in terms of skating events. 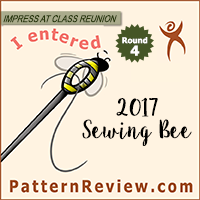 There were competitions, test centers, and practices, all of which were either held during my normal sewing hours, or were held far away, and I was just too tired when I was done to be much excited about sewing anything. And then I think I got a bit of a mild flu, which killed the mojo even further. So I didn’t really get anything accomplished in terms of finished projects, though I do have a half-finished practice dress. And I did, however, get two muslins sewn for my skating competition dresses this year. Which means after a few tiny alterations I think I am finally ready to cut into the good stuff. Which means, in theory, that I should be getting closer to moving back to working on my year-long sewing challenge, but over the past week it seems I have picked up the need to sew at least two other skating costumes, and possibly a third. 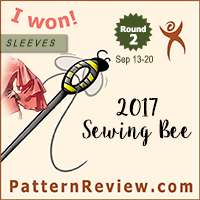 So now it looks like it might be a bit longer before I get back to sewing clothes for me. And I owe my sister a dress when she comes home, and that will take precedence over sewing challenge items too. Ah, well. I suppose this is why I have set the goal of only sewing 12 items total? And luckily I have 5 items done, so even if I can’t get back to sewing these items until June, I still won’t be behind on my overall target. Though it will probably be a bit boring for my readers, since I don’t like to show off my competition dresses until after I wear them at the major competitions over the summer. But I promise this year I will post a few sneak peaks once they are completed. In sewing challenge news – I went back and made the alterations to the bodice of the McCall’s pattern. What I noticed is that raising the bust actually did alter the shape of the armscye (visually, when I lay out the pattern, as I haven’t cut a second muslin yet). Somewhere I read about “walking the pattern” before cutting fabric, to make sure there weren’t going to be any weird surprises when you are trying to piece things together, and I have been doing that any time I make an alteration. When I walked the sleeve in my new armscye, I had to make a few adjustments, as the shapes were no longer complimentary, and what I ended up with was a sleeve with a less symmetrical sleeve cap, which in my experience usually gives a better fitting sleeve. I am hoping when I do get around to muslin #2, that this will be a positive change. Also, I have traced out the pattern on the Patrones pants, but I haven’t made any alterations yet – I already know they are going to be at least 2 inches too short, and after I make a muslin I am sure there will be other alterations as well. I really won’t have time for this project for a while yet, but I really want to make these pants, and I had a spare hour, so I thought tracing the pattern would be a better use of time than surfing the interent. Also, this is my first Patrones pattern and I have to say that tracing these patterns is a joy – the pattern sheets are small and fit nicely on my rotary cutting mat/tracing surface, and the patterns are all different colors with plenty of spacing on the pattern sheets. The drafting looks nice on paper, so if the fit turns out, Patrones might be rivaling Burda for my affections as far as magazine patterns go. So… that is where things are. I guess I feel a bit slow because I did barely any sewing this past week and I have been spending a lot of extra time working on muslins for skating costumes this year. And I have agreed to make extra costumes for other skaters. Which is probably a good thing, because it means I am pushing my bounds or expanding my skills or something, but is also sort of frustrating because normally it doesn’t take me this long to get them finished. Oh well. I will be working on them soon enough I guess. And as long as they end up good I suppose it will be worth the effort.